This was an excellent history of Asia from 1945-1950. If you’re interested in how military occupation works, in how systems operate, in how civil wars get started, in how arms get moved from one group to another, this is a great read! Thoroughly enjoyed this one! How did the Vietnam War get started anyway? And what about the Korean war? And why did we let Suharto get away with so much in Indonesia? 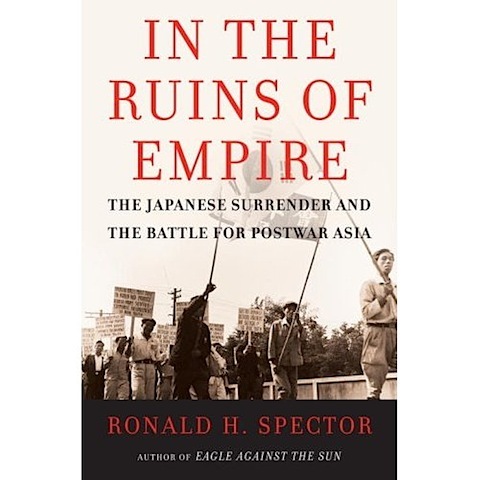 Much of the current state of Asia is the result of “The Allies” unwinding the Japanese Empire in Asia. The Korean War, Vietnam War, Chinese Civil War, and Indonesian Independence from the Netherlands will all be quickly understood. Prior to reading this, I confess I wasn’t even aware that France tried to restore it’s colony in Vietnam after Japan’s surrender at the end of WWII. At least I’m slightly less ignorant then before I read this one… Highly recommended! Previous PostSuck it up! 认命Next PostWho are your heros? I’ve been browsing online greater than 3 hours today, but I by no means discovered any fascinating article like yours. It’s beautiful worth sufficient for me. Personally, if all webmasters and bloggers made just right content as you did, the web shall be a lot more helpful than ever before. Hey, you used to write wonderful, but the last several posts have been kinda boring?I miss your super writings. Past few posts are just a little bit out of track! come on!